Its not only tastes great but also reduces your hunger. Oats contains fiber which helps and stabilizes the levels of cholesterol. Eggs are the rich sources of proteins and low in calories. 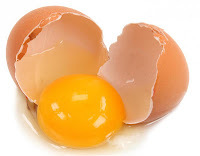 Eggs helps us to build the muscles and develops the good cholesterol. Apples are enriched with powerful antioxidants and other supplements. Most importantly it contains Pectin which helps to reduce the fat cells in the body. Green chillies contains Capsaicin which helps to develop the body growth cells and burns the calories in quick time. Garlic contains Allicin which has anti-bacterial properties helps us to reduce the fat and removes the bad cholesterol. Honey is the best one to burn fat. Add honey in warm water and take it daily in the early morning. 7. Green Tea : Green Tea is the most effective one which helps you to lose weight. It contains Antioxidants which helps and stabilizes our body weight.Take daily 2 cups of tea for a better results. It boosts our metabolism and helps to reduce the fat. Tomatoes helps us to burn the fat in quick time. It also helps us to stay away from cancer. So Take tomatoes in your diet regularly. Dark chocolate contains Flavonoids, anti-inflammatory properties which helps to reduce the cholesterol levels in the blood. It boost the growth of serotonin in the blood and also burns the fat. I am truly grateful to the owner of this web site who has shared this wonderful article at here. Agricola took the gaming world by storm when it was released at the Spiel convention in 2007, and won the Spiel des Jahres award for Best Complex Game in 2008.
miniatures or on a board.